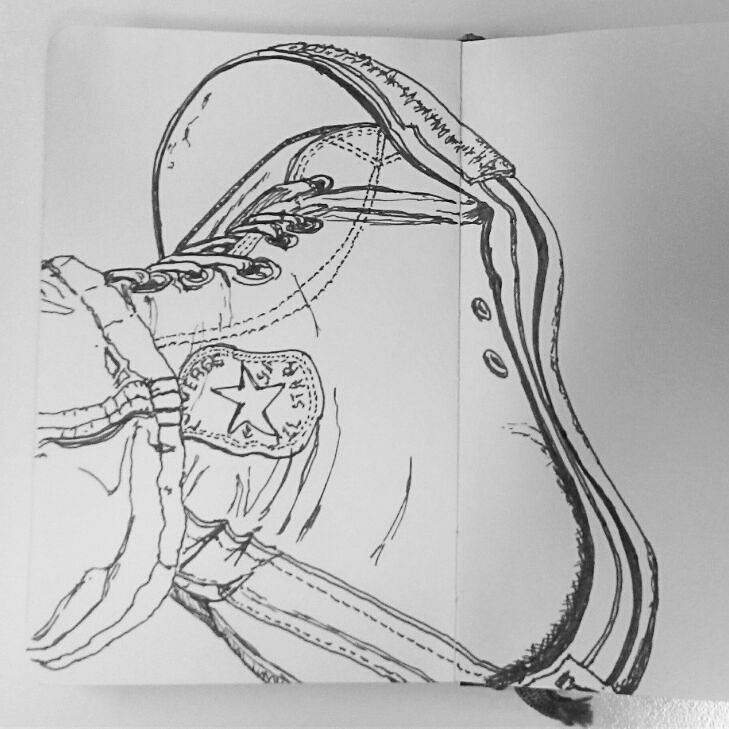 Sketching my left foot, ideally I’d have done it quicker because I’d gone numb by the time I’d finished. Serious pins and needles when trying to walk afterwards. Nice job with the foreshortening and the stitching.